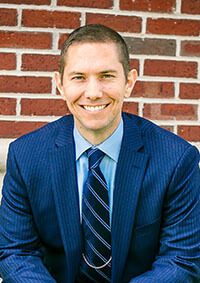 During high school, Dr. Cory had a knee injury that healed after he visited a chiropractor. That’s not, however, what led him to become one himself. As a biology-chemistry major, Dr. Cory was focused on his pre-med undergraduate degree at Purdue University, considering being a pediatrician. Surprisingly, only two ER doctors out of 20 different medical doctors said “yes.” He reflected on how stressed the medical doctors were and how unhappy they seemed. A college friend who was studying to become a chiropractor showed Dr. Cory how chiropractic care was a natural way to wellness. That’s when he decided to attend Palmer College of Chiropractic, known for being the birthplace of chiropractic care. He then moved to Portland, OR where he believed the studies at Western States Chiropractic College would allow him to combine medical and chiropractic care. Once he graduated and began to practice chiropractic care, Dr. Corey had a realization about natural health care. “Everything that everyone was trying to tell me was true.” Now, he is a strong advocate of living a healthy, chiropractic-based life of wellness. Dr. Cory is passionate about helping patients like you through nutrition, getting them off of harsh drugs and avoiding surgeries. He enjoys meeting new patients, talking to them about wellness and showing them how chiropractic care can help them take their health to a new level. I love being a chiropractor and wouldn’t want to do anything else. Dr. Cory focuses on his family whenever he is outside of the office. He’s married, and the two have a young infant daughter and another child on the way, keeping him busy as a father and husband. He looks forward to traveling when his children are older so they can explore the world together. He dreams of spending more time in the Caribbean and visiting Scotland where his ancestors lived. Originally from Minnesota and raised in Indiana, he still visits his family to stay in touch. Knowing the importance of health, Dr. Cory stays active running and practicing Krav Maga martial arts. When possible, he embraces the Fishers community by helping out at Carmel Lutheran Church and participating in 5k runs for local charities. He also enjoys camping in the great outdoors. If you’re wondering how Dr. Cory can help you, give him a call to set up a time to chat.